If you’re thinking of updating the bathrooms in your home, this month’s information gives you the scoop on popular trends, and offers tips to help you get the most out of your renovation. Page one offers insight into what other homeowners are including in their renovation, from high-efficiency toilets to adding a second sink. 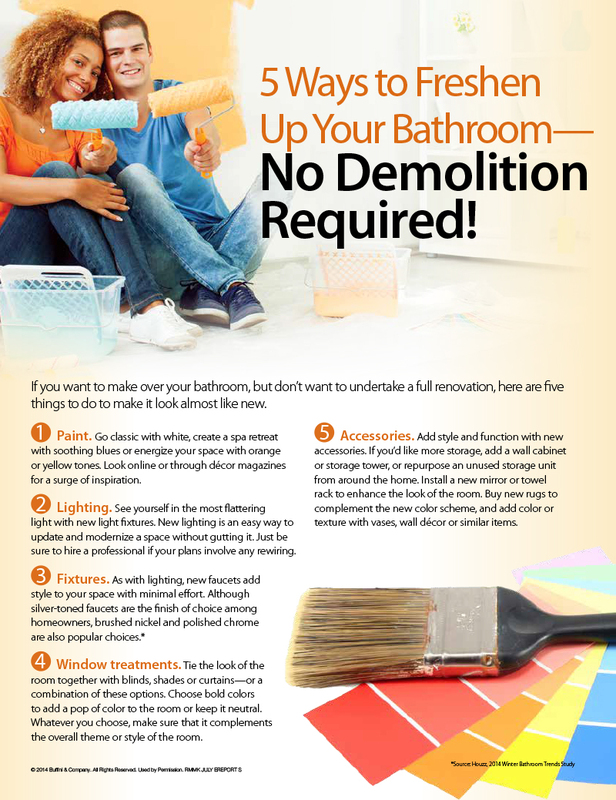 Page two outlines seven things to consider before you start your renovation, whether you’re undertaking a minor update or a major remodel.